Get your new teeth in a DAY! At Premier Dental of Quincy and Milton, we understand how hopelessly diseased teeth, missing teeth, or loose fitting dentures can impact people’s daily lives. We know it can be difficult to eat, smile, and can even lower self-esteem. Dr. Frederick Nafash and his entire team at Premier Dental are dedicated to improving your quality of life with a complete set of new teeth that is customized to look and function like natural teeth with TeethXpress®. Enter the number "1" before your phone area code if you also want a text notification. On the day of your procedure you leave with brand new teeth and a whole new outlook on life. You get a new set of teeth in one visit! 4-6 implants are placed in your jaw with abutment posts. Your denture is attached to the abutments. 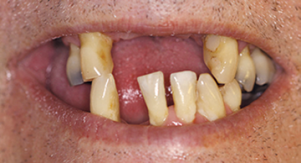 After healing, you will receive new permanent, custom-made teeth to function like natural teeth. With only 10 remaining teeth, all of which were loose, Marc was unable to chew food properly and was uncomfortable smiling. 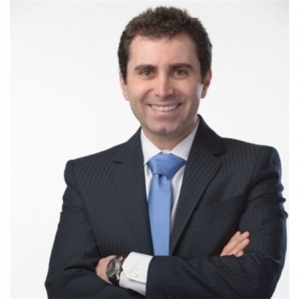 Dr. Nafash is one of the few dentists in the country with dual advanced degrees in periodontics and prosthodontics. 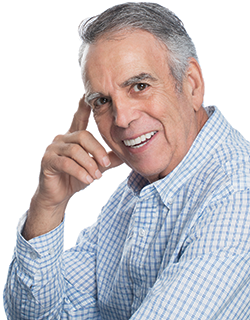 His unique skills, experience, and extensive training in full arch therapy provide patients with exceptional treatment in his conveniently located, state-of-the-art dental implant facility in Quincy, MA. 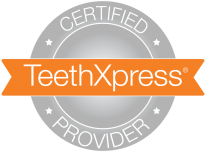 Want to know more about TeethXpress? Please contact the office and we will be happy to discuss how we can improve your life with TeethXpress!